Each of Canada’s 11 best-selling new vehicles has generated more Canadian sales in the first one-third of 2017 than in the same period one year ago. 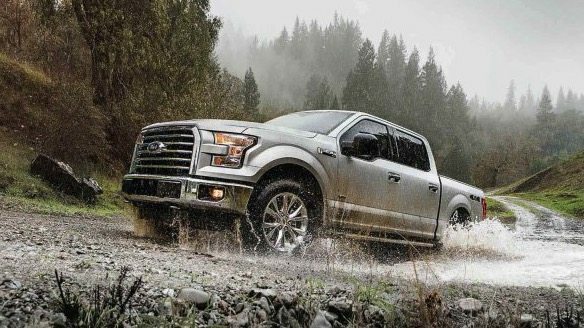 From the Ford F-Series to the Ford Escape – with three other pickup trucks, a minivan, two cars, and three other utilities in between – the most popular vehicles in Canada produced 20,000 more new vehicle sales this year than last. That drove the market share of Canada’s 11 most popular vehicles up to 37% in 2017 from the 34% figure achieved by the same vehicles one year ago. After a startling first-quarter in which Canada’s auto industry began the year with more volume than any Q1 in history, growth stalled with a minor 2% drop in April 2017. Hardly the stuff of which a poor month is made, April 2017 was one of the highest-volume months in the history of the industry, just not as good as April 2016. Much of April’s downturn can be blamed on Fiat Chrysler Automobiles, Toyota Canada, and the Volkswagen Group, all of which posted declines far worse than the market average. At FCA, Jeep’s 35% drop was severe. Toyota’s 10% decline at its namesake brand was keenly felt. And the VW Group’s Volkswagen brand, still suffering after a diesel emissions scandal in late 2015, was down 30% last month. Reminder: these are 2017 year-to-date rankings, but you can sort vehicles by April 2017 volume by clicking the April 2017 column header, or you can rank vehicles by improvements or declines using the % columns. Or, most importantly, you can list automakers together by selecting the Vehicle column header. There are visible brand results, so when you sort the table by vehicle names to showcase, for example, all Fords together, you’ll also see the Ford brand’s total. Auto brands are shown in bold to differentiate makes and models, manufacturers are bolded and italicized. At any time, click the Rank column to return to the original format. If you’re on a mobile device, you may need to choose the full version of the site (at the bottom of the page) in order to use the sortable function. As always, you can find historical monthly and yearly sales figures for any of these vehicles by selecting a make and model at GCBC’s Sales Stats page. Mobile users can now thumb across the table for full-width access. * Italicized unranked lines are nothing more than available breakdowns, already included in the model’s total, not in addition to the model’s total. † Mini Cooper includes sales of the Hardtop, Convertible, Clubman, Coupe, Roadster, and Paceman. ¤ Automakers release sales figures for the E-Class and CLS-Class, and the Passat and CC together. º Land Cruiser is a commercial vehicle in Canada. Audi’s A4 sales data includes sales of the Allroad. Sales data for brands such as Ferrari, Lamborghini, and Rolls-Royce are unfortunately not broken down by model. estimates say sales for those brands in 2017’s first three months were 80, 72, and 32 units, respectively. It is believed that Tesla sold 769 new vehicles during the first three months of 2017.